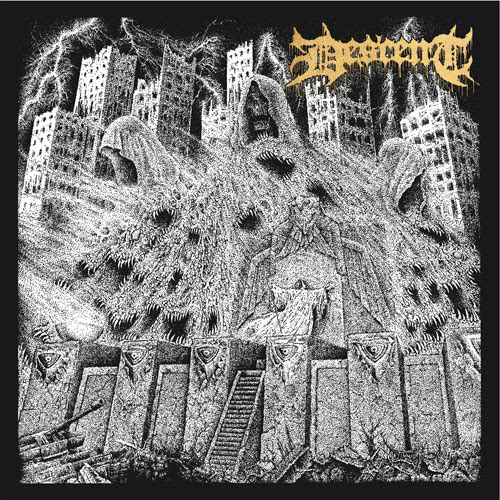 Australian death metal quintet Descent reveal the music video for their crushing new track “Confined” , off the band’s forthcoming first album “Towers of Grandiosity”,which is due for release on August 31st via Redefining Darkness Records. Watch the video for “Confined” here. Just recently, the group formed by members of From These Wounds, Scumguts, Dire Wolf, Coffin Birth and The Fevered have revealed the leading single from the album titled “Skinwalker”, check it out here. Recorded by Brendan Auld at Black Blood Audio, mixed by Taylor Young at The Pit Recording Studio and mastered by Brad Boatright at Audio Siege, “Towers of Grandiosity” also features the artwork by Dan “Sawblade” Shaw. Pre-orders are now available at this location. “Confined”“Towers of Grandiosity”AustralianDeath Metal GroupDescentMusic VideoPremiereRedefining Darkness Records.